As of 20 December 2016, the Irish ccTLD manager IE Domain Registration abandoned the block on geographic names in domain names. 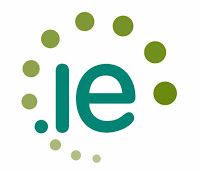 The change means businesses and community groups that can show a connection to Ireland are now able to register domains that contain their geographic location. Any town, village or city can be applied for. While most geographic names have been registered, options exist for potential registrants to use the placename as part of a longer name, for example, HowthRugbyClub.ie. As there are only 222,200 .ie domain names registered, there are plenty of options to choose from. Lexsynergy is an accredited .IE registrar and can process your .IE domains for you. Email us at support@lexsynergy.com.